While just as exotic and passionate as Spanish and Latin music, Balkan rhythms are lesser-known to Western ears. Hence the need for the BalkaBarna Festival. 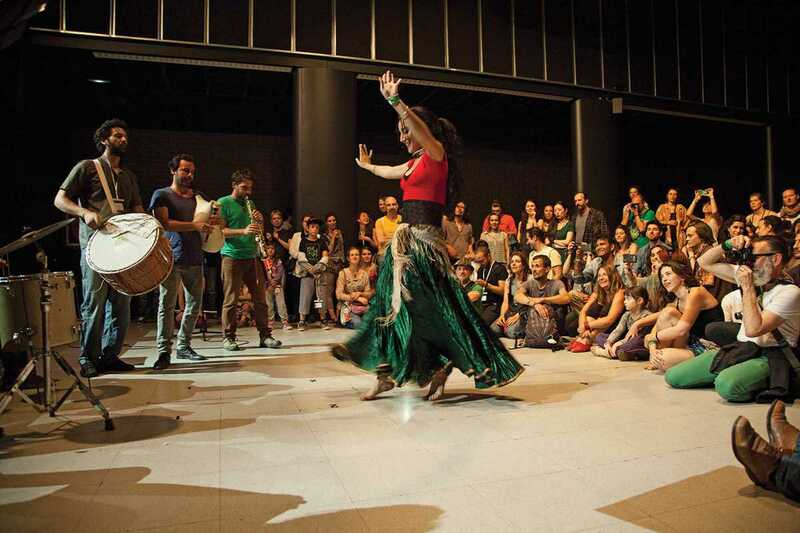 Its third edition takes place on May 8th in the spacious old Estrella Damm factory, bringing 12 hours of cheerful noise, colorful people and the tasty flavors of the East. The star of the program is Ross Daly, along with his Labyrinth Ensemble, famous for playing the Cretan lyra (a talent he shares with Alexis Zorbas, hero of Zorba the Greek). The performance by Parisian suburb gypsy quartet Aälma Dili as well as compositions based on classic Ottoman music by Meskhane are not to be missed either. In addition to live music, there will be dance workshops, improvisations backed by footage from old Yugoslavian, Romanian and Bulgarian films, Balkan shorts and – thanks be to God – food stalls with traditional Bulgarian and Greek delicacies.